Apparently, the traditional way to cook oysters in South Carolina is to steam then in a burlap sack over a wood fire. That way, you get a gently cooked oyster with a nice, smoky flavour. 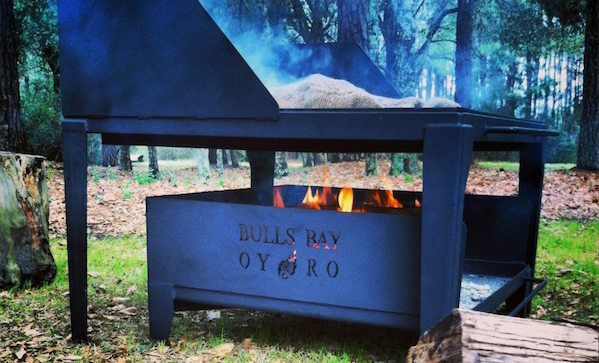 Well, we can get behind smoky flavours, so that’s why we’re into this Bulls Bay OYRO Oyster Cooker ($1,300). It includes a steel firebox, oyster cooking tray, and an oyster cooking table. It’s safe, portable, and heavy-duty. You can probably use it to cook other stuff too, though.